On today’s show Erin Brown of Vanishing Paradise stops by to talk with Jacques & Simone about how they advocate for restoration of the Mississippi River Delta by nationalizing the issue, raising awareness, and educating members of Congress. Chef Nathan Richard also joins the program to talk with Simone & Jacques about the Fresh Water Supper at Cavan Restaurant in New Orleans for the Vanishing Paradise, highlighting species that depend on freshwater marsh in coastal Louisiana. Welcome to Delta Dispatches with hosts, Simone Maloz & Jacques Hebert. On today’s show, Simone and Jacques are joined by journalist and author Jim Robbins to talk about his book "The Wonder of Birds" and why sediment is an important part of Louisiana's ecosystem. On the second half of the show, Alex Kolker speaks about his new paper and why the Cubit's Gap subdelta provides the perfect study site for future river diversion projects. On today’s show Charles Sutcliffe, Director of Policy and Programs at Louisiana Governor’s Office joins the program to talk with Jacques & Simone about financing for coastal restoration in Louisiana. Welcome to Delta Dispatches with hosts, Simone Maloz & Jacques Hebert. On today’s show Brian Ostahowski, President of the Louisiana Archaelological Society joins the program to talk about how the coastal crisis affects archaeology in Louisiana and archaeology in Coastal Louisiana. In the second half the show, Simone and Jacques are joined by Dr. Nathalie Dajko, Assistant Professor of Linguistics at Tulane University to talk about preserving Louisiana’s unique language. On today’s show Mark Sickles from Weeks Marine joins the program to talk with Simone about all the wonderful work they are doing here in Louisiana and Dr. John Lopez, Director of Coastal Sustainability Program at Lake Pontchartrain Basin Foundation also joins the program to talk with Jacques about natural growth and plant development in the Louisiana marshes. Welcome to Delta Dispatches with hosts Simone Maloz & Jacques Hebert. On today’s show Teresa Chan & Amy Streitweiser of Environmental Law Institute join the program to talk with Simone about ELI and the upcoming environmental impact study (EIS) on the Mid-Barataria Sediment Diversion. On the second half the show, Natalie Peyronnin, Director of Science Policy and Mississippi River Delta Restoration at the Environmental Defense Fund stops by to talk with Simone about the history of the Mid-Barataria Sediment Diversion project and what to expect from the EIS process. Welcome to Delta Dispatches with hosts Simone Maloz & Jacques Hebert. On today’s show Brady Couvillion, Geographer with the Coastal Restoration Assessment Branch of the USGS Wetland and Aquatic Research Center, joins the program to talk with Simone about mapping Louisiana’s coast. He's followed by Dr. Scott Hemmerling, the Director of Human Dimension for The Water Institute of the Gulf, who stops by to talk with Simone about the human dimension of the loss of Louisiana’s wetlands and the atlas of Louisiana’s coast. On today’s show Nikki Cavalier, Community Outreach & Media Specialst from CWPPRA, joins the show to talk with Jacques & Simone about CWPPRA and Nutria & how they affect the Louisiana Coastline. On the second half the show, Andy Nyman Professor of Wetland Wildlife Ecology at LSU School of Renewable Natural Resources, returns to talk about Roseau Cane Mealy Bug. Welcome to Delta Dispatches with hosts, Jacques Hebert & Simone Maloz. 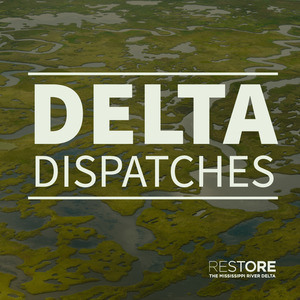 On today’s show David Muth, Director of Gulf Restoration, National Wildlife Federation stops by to talk with Jacques & Simone about the importance of restoration of the Mississippi River Delta. On the second half the show, Dr. Alex Kolker, Associate Professor at the Louisiana Universities Marine Consortium joins the program to talk with Simone & Jacques about subsidence, sediment diversion and even potholes! On today’s show Simone talks with the Executive Director of the Louisiana Sea Grant College Program, Dr. Robert Twilley about The Louisiana Sea Grant Programs working individually and in partnership to address major marine and coastal challenges. Pepper Bowen, Director of Culinaria stops by to talk with Simone about how through legal research and policy analysis, Culinaria Center reviews and addresses a wide range of local, national, and global food policy topics and issues and seeks solutions in support of a food system that is integral to improved health outcomes, sustainable environmental goals, and real community development and also their event, “Best of The Bycatch” on June 20th at The Southern Food & Beverage Museum. On today’s show Simone & Jacques talk with Meredith Dowling, Associate Executive Director and Emmet Bartholomew, Gulf Region Volunteer Pilot Recruitment of Southwings about how Southwings organization provides a network of volunteer pilots to advocate for the restoration and protection of the ecosystems and biodiversity of the Southeast through flight. Jacques Hebert host solo on today's show. 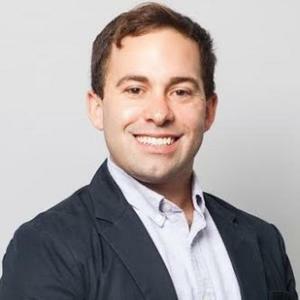 Joining him is Alek Krautmann Meteorologist, New Orleans/Baton Rouge Forcast Office NOOA National Weather Service to talk about about this year's Atlantic Hurricane Season Predictions and how to stay safe this summer. The second guest in today's show is Mike Steele, Communications Director at Governor’s Office of Homeland Security and Emergency Preparedness-State of Louisiana, here to talk about Hurricane & Disaster Preparedness in south Louisiana. On today’s show James F. Barnett Jr joins the program to talk with Jacques & Simone about his fascinating book, “Beyond Control: The Mississippi River’s New Channel to the Gulf of Mexico”. Beyond Control reveals the Mississippi as a waterway of change, unnaturally confined by ever-larger levees and control structures. Our second guest is Alisha Renfro, Staff Scientist from the National Wildlife Federation, who stops by to talk with Simone & Jacques about the high Mississippi River and the systems in place to keep us protected. Welcome to the latest episode of Delta Dispatches with hosts Jacques Hebert & Simone Maloz. We’re happy to welcome Lacy McManus and Joni Tuck to the show today. Lacy is the Director of Program Development of GNO Inc. and talks with Jacques and Simone about the economic case for restoration in Southeast Louisiana. In the second half the show, Joni sits in studio to chat about Port Fourchon & The Working Coast. Joni Tuck is the External Relations Manager for the Greater Lafourche Port Commission. Welcome to the latest episode of Delta Dispatches with hosts Jacques Hebert & Simone Maloz. 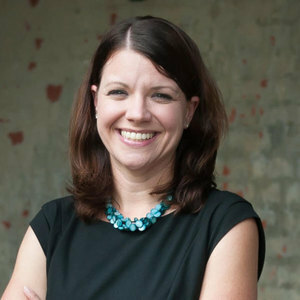 On today’s show Natalie Peyronnin, Director of Science Policy and Mississippi River Delta Restoration at the Environmental Defense Fund, speaks to Jacques about sediment diversions operations. In the second half the show, Simone has Jimmy Frederick, Communications Director for CRCL on to speak about their exciting oyster shell recycling project.